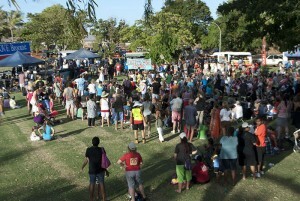 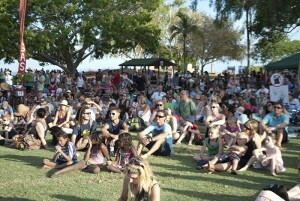 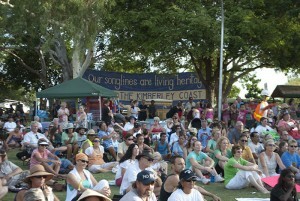 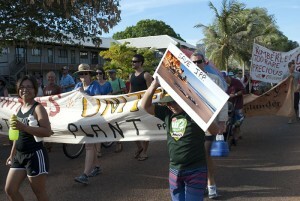 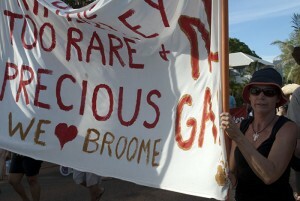 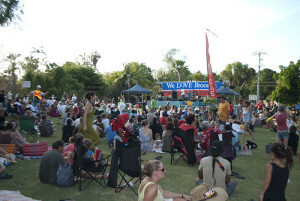 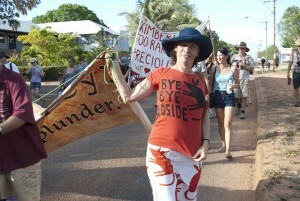 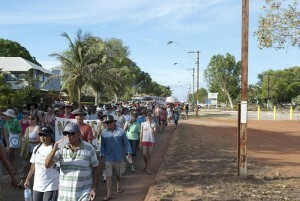 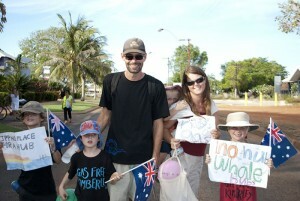 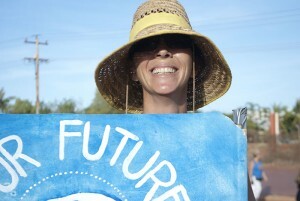 The Nowhere Else but Here Rally, was a resounding success, with hundreds of locals gathered with signs and placards, sending a clear message to the Premier, Colin Barnett and Woodside and the other stakeholders in the bid to build the World’s largest LNG Gas Processing Hub in one of the most pristine areas in the world. 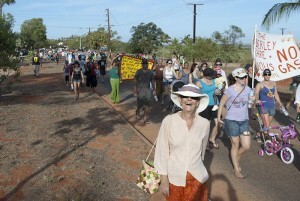 The Broome “No Gas” Campaign is not about stopping the gas from being taken from the Browse Basin in the Kimberley but about using already existing infrastructure in the Pilbara which is soon to run out of natural gas to process. 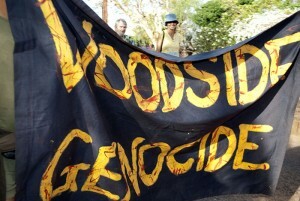 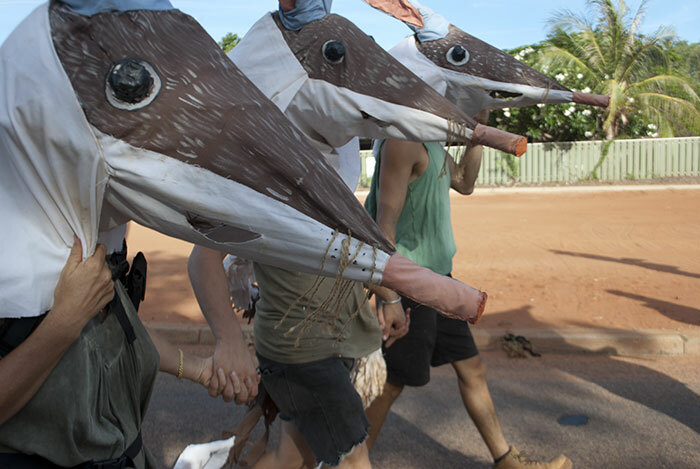 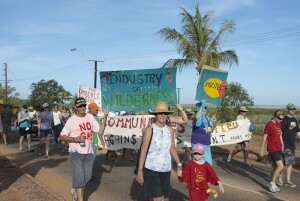 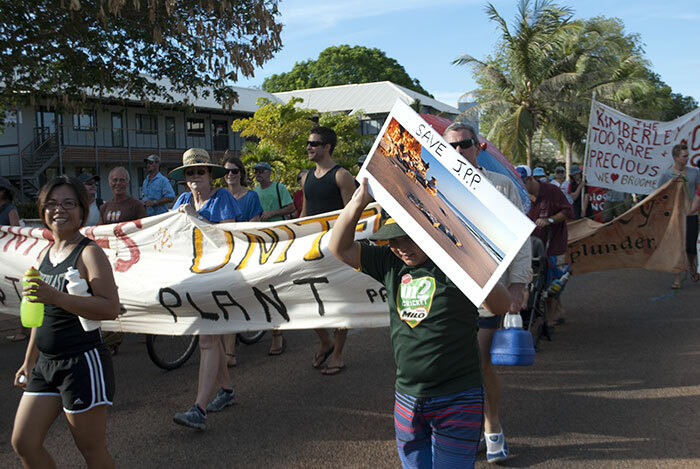 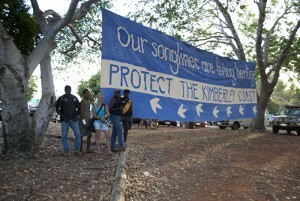 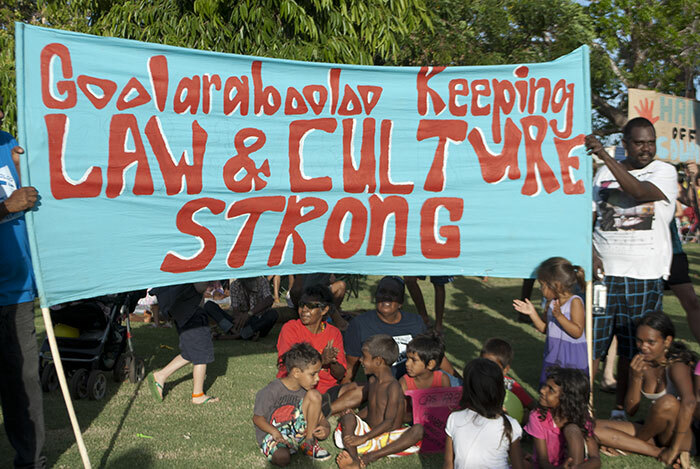 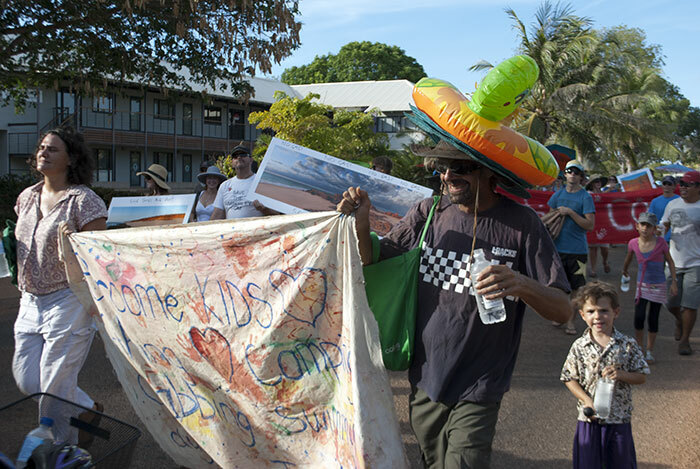 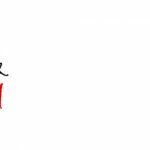 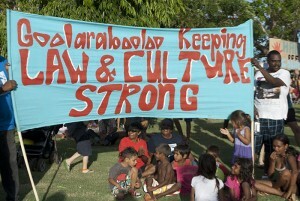 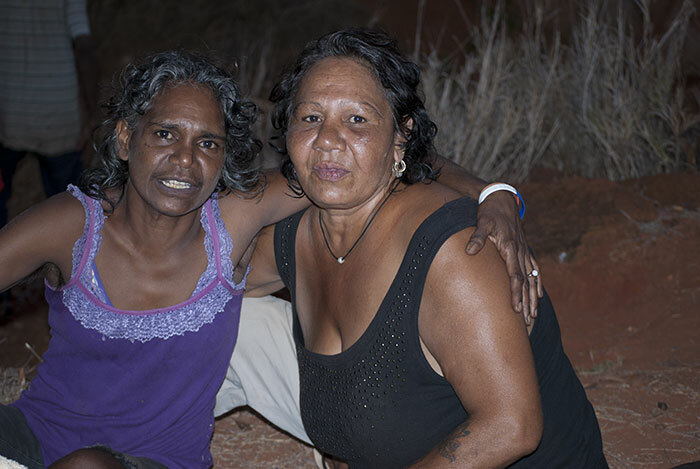 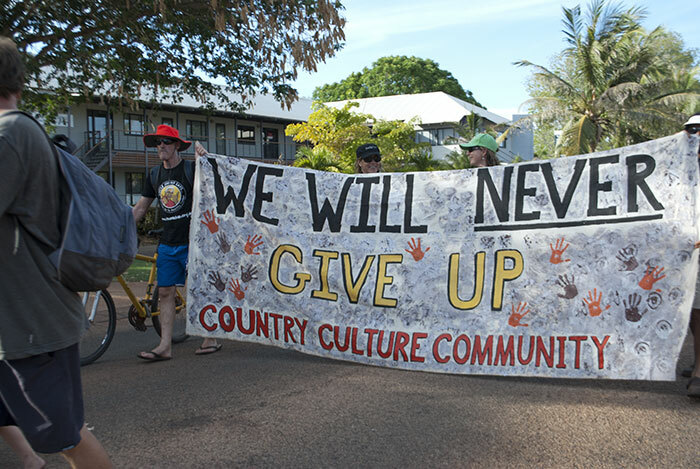 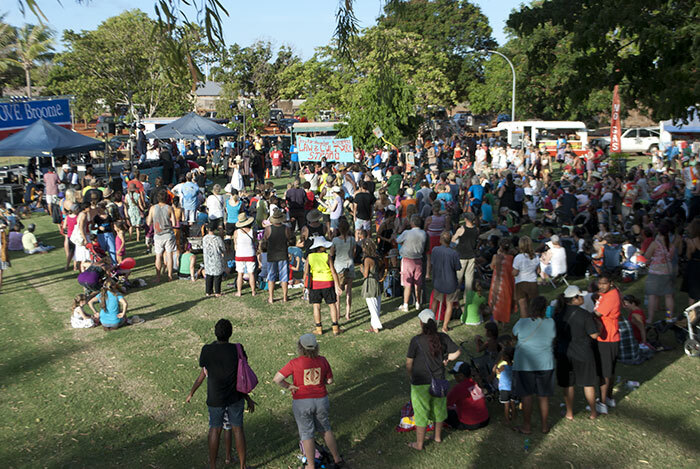 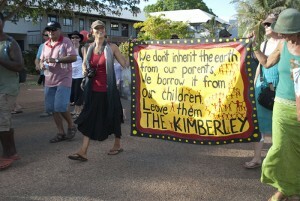 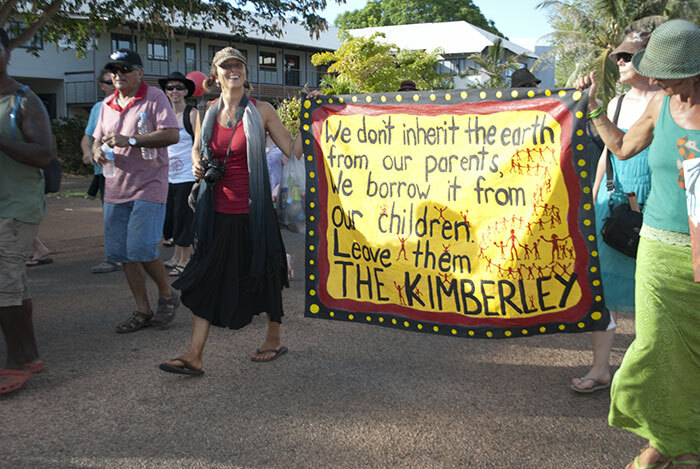 The establishment of the LNG Gas Hub is a bad move on so many levels, environmentally and socially, head over to the news post to keep informed of the latest developments in this battle to save the kimberley from industrialisation. 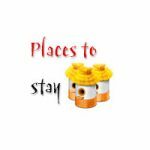 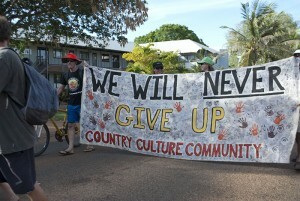 A quote from our intrepid blogger, Hands Off Country” sums up the feelings of all who took part in this amazing rally. “In the face of the powerful forces arraigned against us, our communities have successfully exposed the many environmental, social and economic flaws in this project, and delayed it, to the point where it is now widely reported as a project in deep trouble.